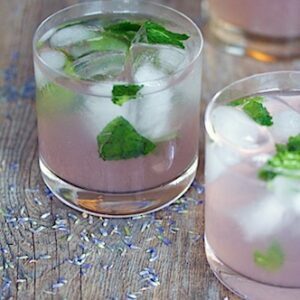 I told you cocktails were still alive and well over at We are not Martha. And that the middle of the week is when you likely need a cocktail more than any other time. I’m probably making myself sound really pathetic right now, but when I pour myself a glass of wine on a Friday night (because, let’s face it, cocktail making isn’t happening after a long work week), I often wake up on the couch at 1 a.m. with the full glass still sitting in front of me. Getting old is weird. But if I had the choice, I’d totally combine my alcoholic beverage with chocolate. And ice cream. And you know what? 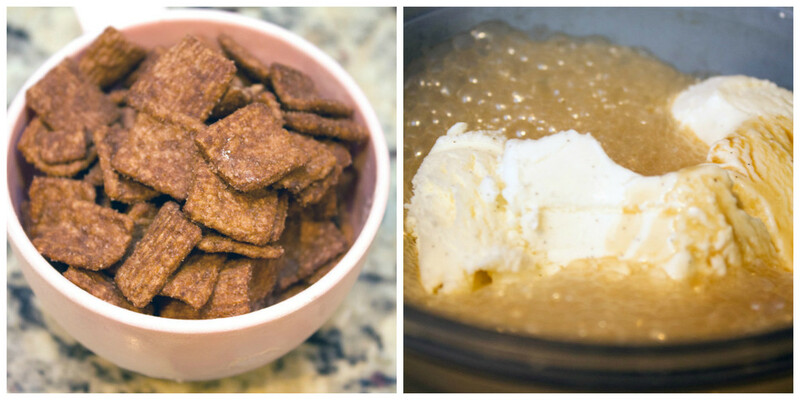 The world’s greatest cereal, Cinnamon Toast Crunch, too. So, I did. And now I feel like my life dreams are changing and I want to open up a bar that solely serves concoctions like these. My husband would be thrilled as he’s said he wants to open a bar forever. I always say no because wouldn’t that mean I’d have to stay up until 2 a.m. and stuff? No thanks. These two ingredients are already a match made in heaven. But throw in some ice cream and additional chocolate in the form of chocolate syrup and you’re in serious business. I won’t lie and pretend there’s anything complicated about this recipe. You basically put everything in a blender and blend away. 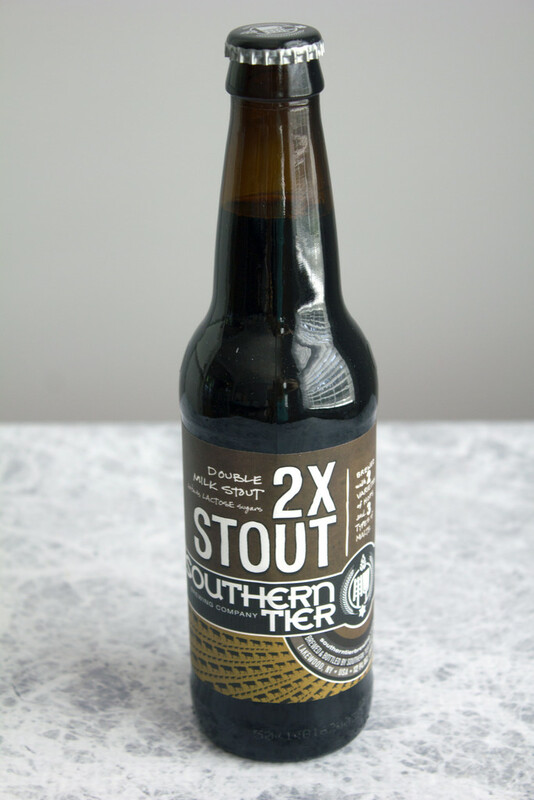 Bonus points if you make your own chocolate syrup (which I highly recommend!). This is most definitely a treat. And probably not at all what General Mills intended for when they came out with this glorious cereal. But I don’t think they’d hate it. It’s impossible to hate this. Seriously. Even if you think you hate beer. Try this and I think it will change your mind. 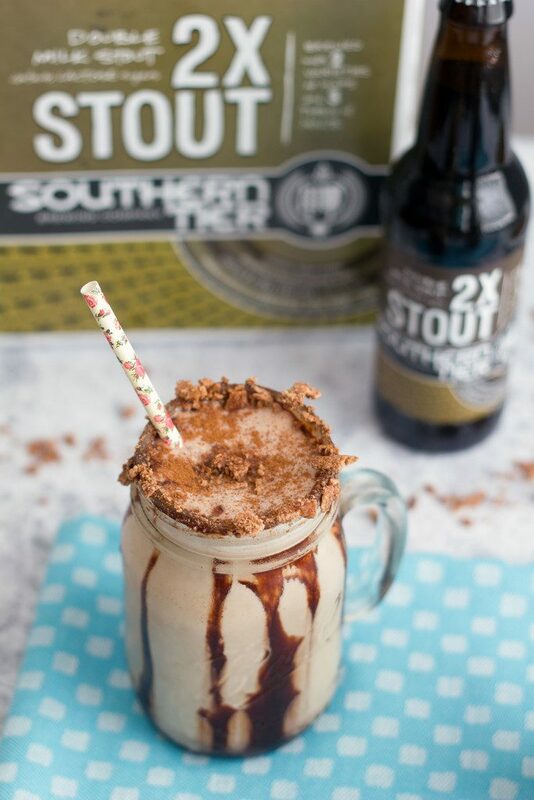 You can’t hate beer when it’s in this milkshake. You just cannot. I rimmed the glass with a little chocolate syrup and more crushed cereal, too. At this point, you may as well go all in, right? This is officially my favorite way to eat cereal. See ya later, milk! Don’t even make me attempt to justify to you why this drink is perfectly acceptable for breakfast. I’ll just sound like I have a problem. 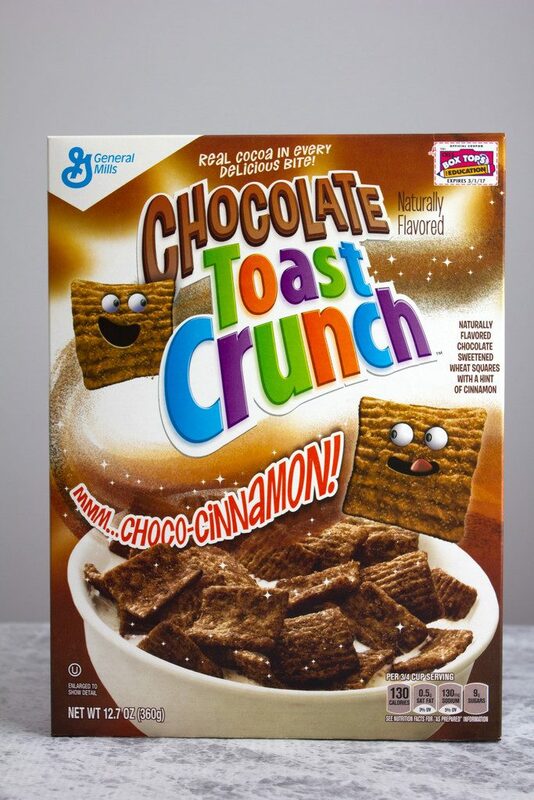 Honestly though, if you think Chocolate Cinnamon Toast Crunch sounds weird, I totally get it. But chocolate and cinnamon is one of the all-time best flavor combinations. Mexican hot chocolate, anyone? This is almost like a frozen Mexican hot chocolate. But with beer. I keep forgetting about that glorious detail. Happy almost Friday, everyone! 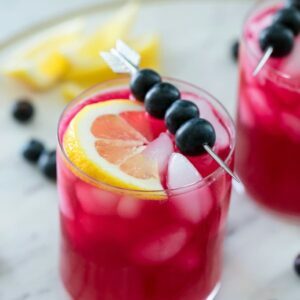 You deserve a very large sip (GULP) of this drink. And if all else fails, there’s always Saturday morning! But shhh, I didn’t tell you to do that. 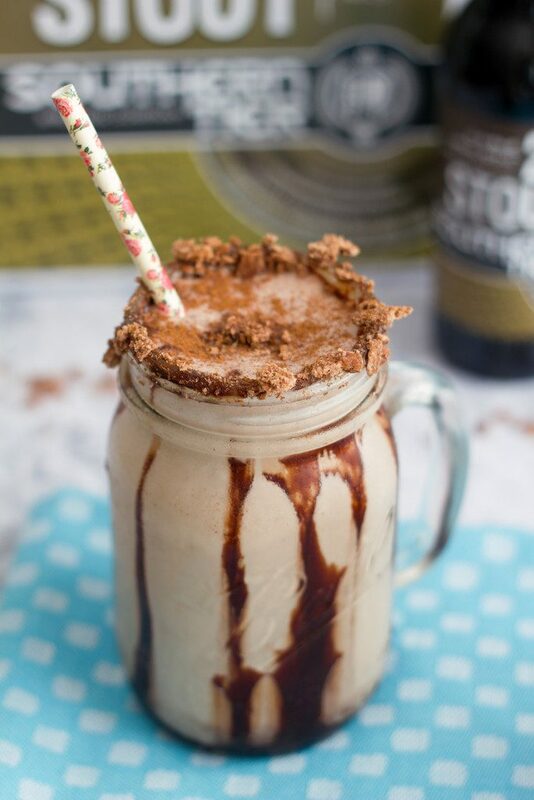 Forget cereal in milk; drink your cereal in a milkshake! 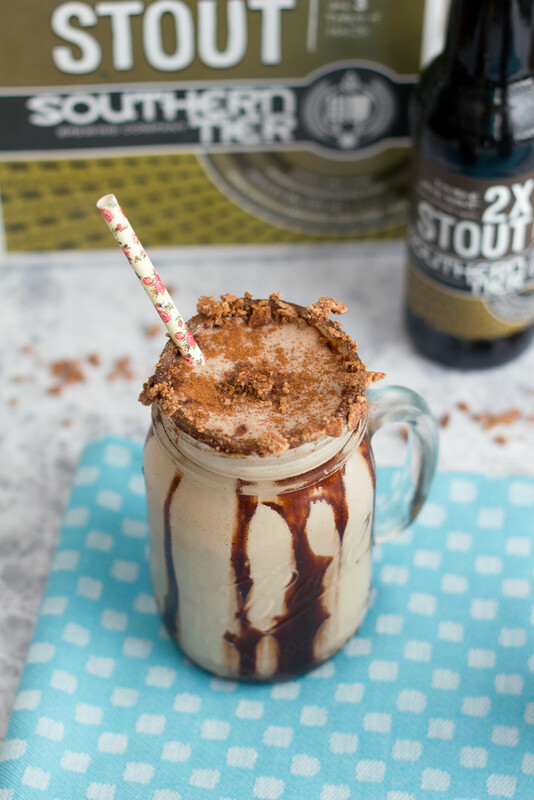 This Chocolate Cinnamon Toast Crunch Stout Milkshake involves the best of everything: cereal, chocolate, beer, and ice cream! 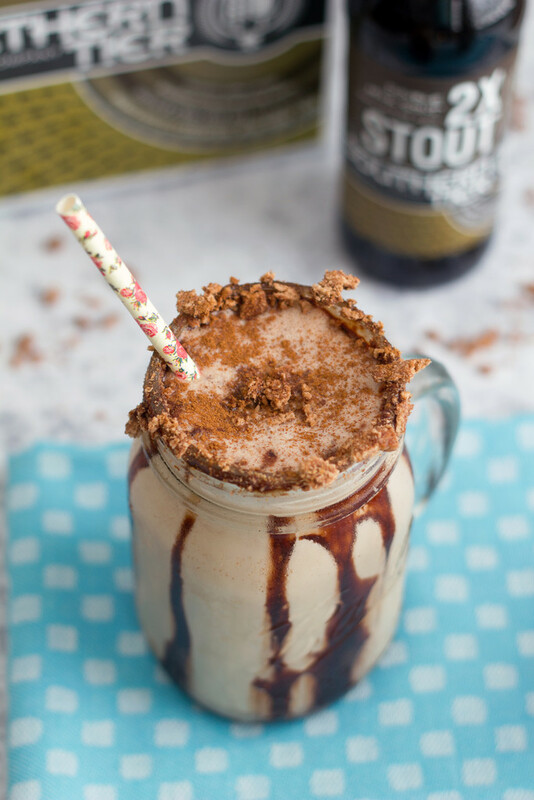 Add ice cream, stout, and Chocolate Cinnamon Toast Crunch into a blender and blend until smooth. 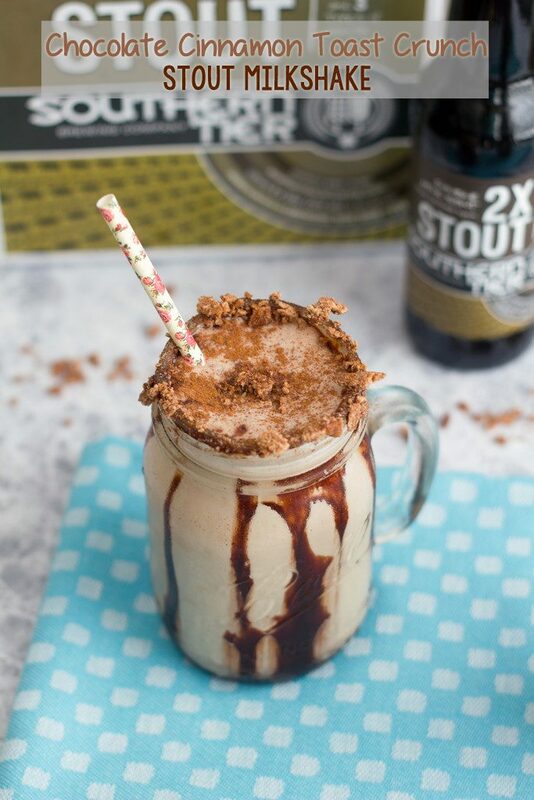 Using a pastry brush, brush chocolate syrup around rims of two glasses and dip in crushed cereal. 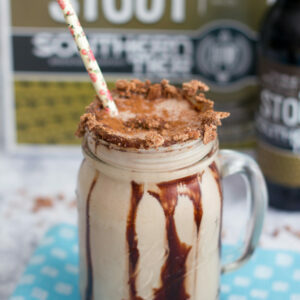 Drizzle chocolate syrup in glasses and divide milkshake between glasses. Sprinkle more crumbled cereal over the top. 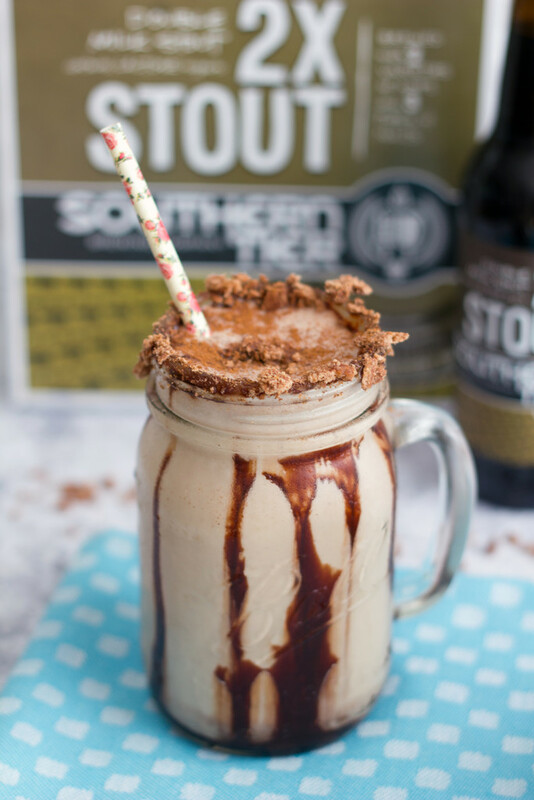 13 Responses to "Chocolate Cinnamon Toast Crunch Stout Milkshake"
This is everthing!!! For real. I just discovered your website. 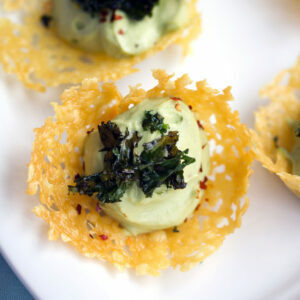 I love the recipe and I love love love the name, it’s brillant! Oh my! 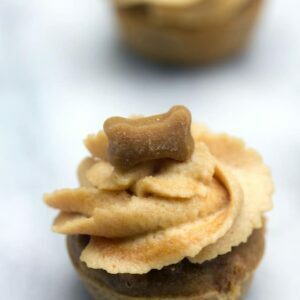 It looks decadent and so delicious! This is heaven in a milkshake glass!! This is my dream breakfast!!! I wouldn’t be averse to slurping down on one of these after a long day at the hospital…but Saturday afternoon is also sounding like a pretty solid option. It has cereal in it…therefore…it’s breakfast! I can have this for all meals!!! !